Ninja Theory’s excellent Hellblade: Senua’s Sacrifice is coming to the Oculus Rift and HTC Vive! 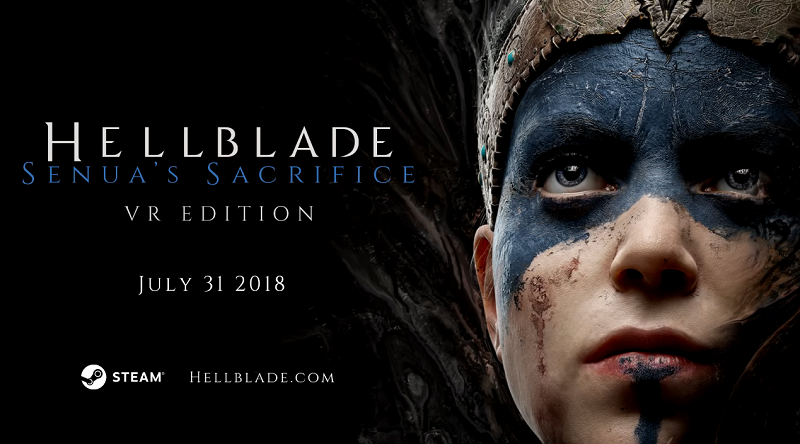 On July 31st, Hellblade: Senua’s Sacrifice VR Edition will be released on Steam for no additional charge to existing owners of the base game. The new VR mode will give players the option of experiencing Senua’s journey in a 3D space from a third-person perspective. This will allow players to control the game’s camera using their own head. The developer states that they worked on this purely to experiment, and they liked the results so much that they want their players to experience it too. While one may question why Ninja Theory didn’t opt for a first-person perspective, a third-person perspective makes a lot of sense thematically. Senua suffers from mental illness and is always accompanied by unseen beings and voices. Playing in VR essentially casts players into this role (to an even higher degree). A lot of the game’s emotional resonance comes from seeing Senua as well. To play this new mode, you’ll of course need a PC VR headset (ostensibly Windows Mixed Reality is also supported), and quite the beefy PC. Ninja Theory recommends a minimum of a GTX 1080 GPU. Ooph. I look forward to trying this out when the update hits in a few days!